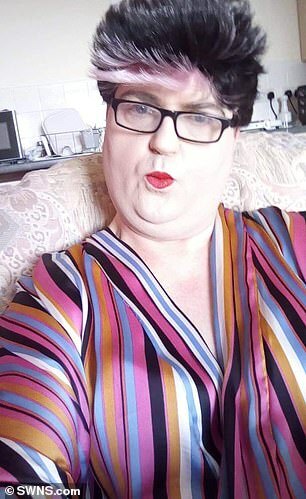 But she said she was disgusted after the nurse believed she was a man and then replied 'erggh' when she informed her she was a transgender woman. In a letter the hospital told Chantelle that the nurse thought she was male because 'you had a full beard and were dressed in male attire'. But they have now apologised and said they are keen to speak to Chantelle to see if they can 'explore how we can resolve any remaining issues she has'. Chantelle said she has never had a beard, even before she began her three year transition, and blasted the nurse's actions. She said: 'I was very, very upset. I'm a transgender woman - transitioning from male to female. I went to visit my friend in hospital on Christmas Eve on one of the RD&E ward. 'She was in having an operation and there was a nurse in the cubicle. I said 'Happy Christmas' and the nurse replied 'Er...it's a man'. She then read out part of the letter, which said that staff were trained to enquire about how people wished to be addressed. She said: 'I am always dressed as a woman. I had full make-up. I had my hair on. I am on female hormones and do not have a beard. 'Even my passport shows that I am female. This second letter is even worse than the first. 'Life is difficult enough when you are transitioning. I have had hate crimes committed against me. Friend Chloe Palmer, 20, said: 'I was with Chantelle. She had got a Mrs Claus outfit from Ann Summers and she had stockings and make-up and her hair done. In a statement from the hospital, Chief Nurse Em Wilkinson-Brice said: 'We are always sorry to hear when a patient or visitor is unhappy with their experience at the RD&E. 'In this case we have investigated the complaint and apologised for any offence caused. 'We are keen to speak with Ms Saunders to explore how we can resolve any remaining issues she has.